About six hours after winning the inaugural Augusta National Women’s Amateur on Saturday, Jennifer Kupcho noted how she’d just completed more than four hours of post-tournament obligations at Augusta National Golf Club in Georgia. Well, it turns out, maybe later this week. Early on Sunday morning, the Wake Forest senior was back at Augusta National, presenting the trophy in the girls 7-9 division at the Drive, Chip & Putt National Finals and being interviewed on Golf Channel’s national telecast of the event. Then on Monday, the media tour really hit high gear as Kupcho and ANWA runner-up Maria Fassi, a friendly rival who competed in a handful of USGA qualifiers in Colorado as a teenager, made the rounds in New York City with appearances at major NBC-affiliated shows. First, it was the Today Show in the morning, where the two did a couple of different on-air interviews. Jennifer Kupcho (left) and Maria Fassi chat with Jimmy Fallon on The Tonight Show on Monday. But that was hardly the extent of media blitz. Scheduled were Monday appearances on Golf Channel’s Morning Drive, a chat with Sky Sports News and another one possible on CNBC’s Power Lunch. They talked about their experiences during Saturday’s final round at Augusta National, their reaction in the wake of the event, and the sportsmanship they displayed toward one another as the lead went back and forth. 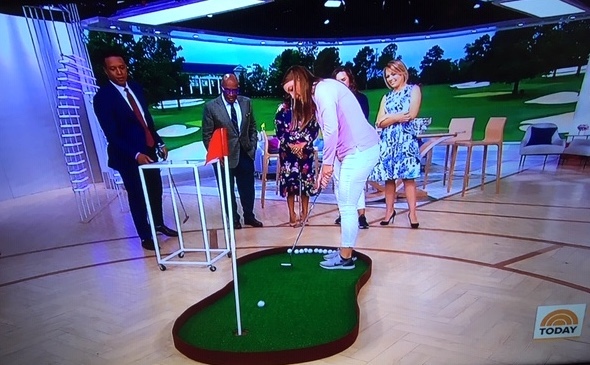 Kupcho even hit a putt on a small artificial putting green set up in studio for one of the Today segments. On Saturday, Kupcho overcame the mid-round migraine to play her final six holes in 5 under par in rallying to win the Augusta National Women’s Amateur by four strokes over Fassi. Both will be among the favorites in next month’s NCAA Division I finals — Kupcho is the defending individual champion and Fassi will be playing on her team’s home course in Arkansas — before starting their LPGA Tour careers later this spring. 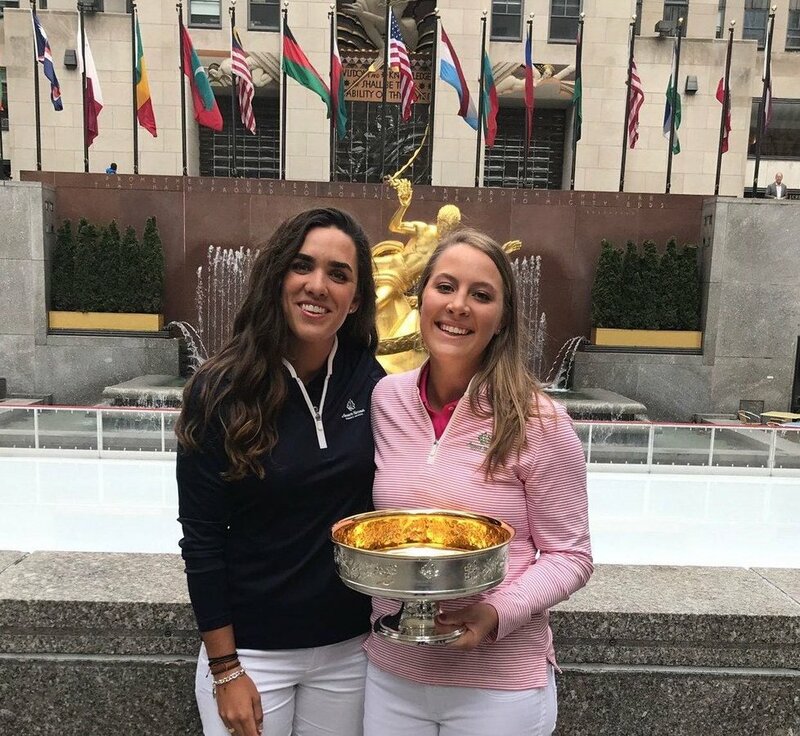 Jennifer Kupcho (right) and Maria Fassi brought Kupcho’s Augusta National Women’s Amateur trophy to Rockefeller Plaza amid their media tour on Monday.